At last count, more than 260 babies were born at Woodland Park Zoo in 2013, and hey, there’s still a few hours left in the year! We may have had our hands full of cubs, chicks, pups and kits, but the year was also marked by many other new additions: from a new exhibit that transformed the oldest part of the zoo, to new conservation programs that fight for a future for wildlife. 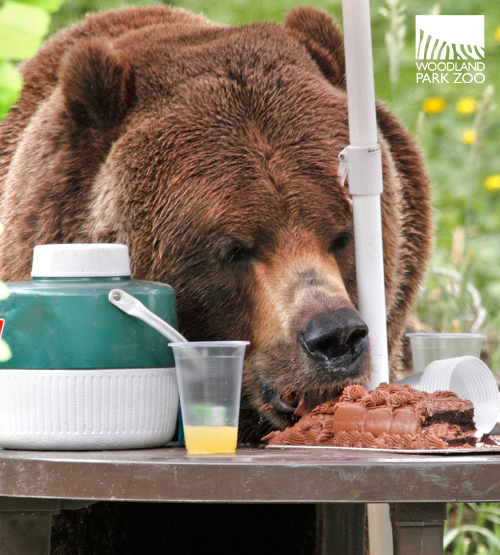 Bears want cake. Photo: Dennis Dow/Woodland Park Zoo. Picnics aren't just for Yogi Bear—here in the Pacific Northwest, you may truly encounter a bear while hiking, picnicking or camping in the great outdoors, and sometimes even in your own backyard. What do you when a bear crashes your barbecue? Better yet, how can you make sure the bear never gets invited in the first place? With the help of destructive grizzly brothers, Keema and Denali, we demonstrated bear safety tips with our conservation partner, Western Wildlife Outreach, during our popular Bear Affair: Pacific Northwest Conservation event in June. But perhaps some of the most memorable tips came from the music video we released with vocals by local singer Star Anna this year. 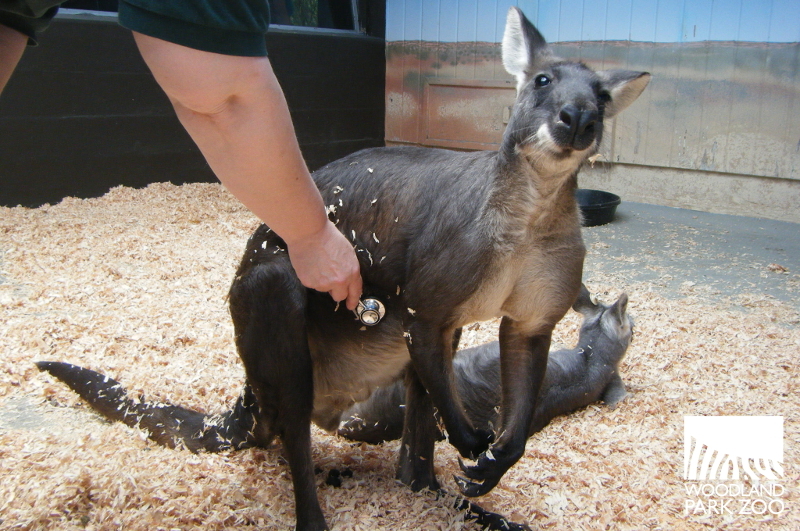 Zookeepers train animals like this wallaroo to be comfortable with exams. Photo: Wendy Gardner/Woodland Park Zoo. Much of what zookeepers do to care for the animals at Woodland Park Zoo goes unseen. In 2013, we got to go behind the scenes with a number of keepers to see that hidden side of their work. We learned how wallaroos are trained to cooperate in their own medical health exams, and we saw what it takes to get a Komodo dragon its vitamins. Keepers shared with us the joys of the job, like hearing an 8,000-pound elephant purr with contentment when you arrive to work! 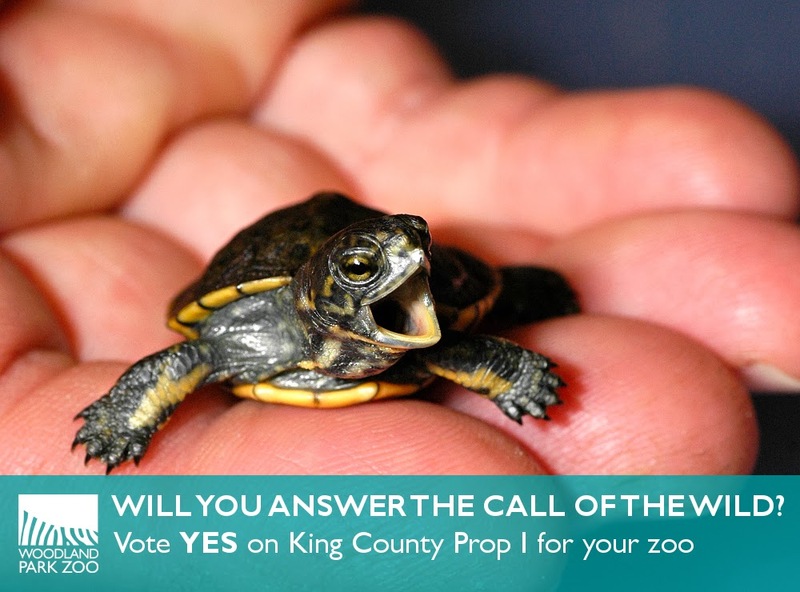 Thanks for passing King County Prop 1 for your zoo! Photo: Ryan Hawk/Woodland Park Zoo. There was much to celebrate on August 6 at Woodland Park Zoo—a giraffe calf was born as we learned the good news that our community came through with support and passed the King County Parks levy. More on the giraffe calf later in the countdown, but for now, let’s celebrate the impact your levy vote will have for your zoo! The support, from 2014-2019, will not only provide for the animal care, exhibit maintenance, environmental education and conservation programs that make yours a world-class zoo, but it will also provide access to underserved communities through the Community Access and School-to-Zoo Programs. You made this possible! 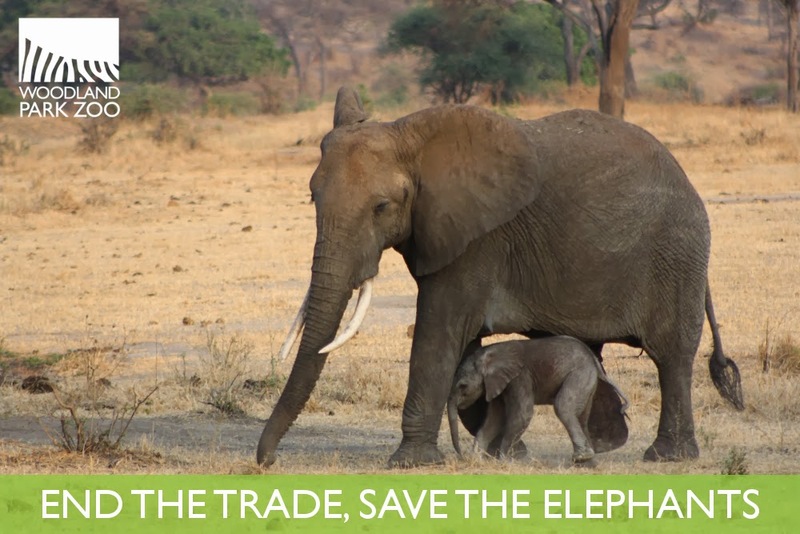 Photo courtesy of Tarangire Elephant Project. On the heels of returning from a trip to Africa, President Obama issued an Executive Order in July to combat wildlife trafficking. The order pledges $10 million dedicated to protecting wildlife by training police officers and park rangers, a presidential task force to develop a national strategy for cracking down on systematic poaching networks, and a commitment to choke off demand for elephant ivory, rhino tusk and other animal parts. To keep momentum going, the U.S. Fish and Wildlife Service crushed six tons of confiscated ivory representing thousands of elephants killed and sending a message: end the trade, save the elephants. We celebrated good news coming from our conservation partner, the Tarangire Elephant Project in Tanzania, whose expanded patrols led to the arrest of 10 poachers. At the same time, we expanded efforts in Malaysia to address the wildlife trafficking crisis impacting endangered tigers. This commitment from international governments and conservation organizations like Woodland Park Zoo and our partners, combined with the actions of people like you, will make a better future for wildlife. So much more is still to come this year and beyond. Sign up for ZooAction to stay informed of ways to help. According to your votes, this tawny frogmouth chicks totally looks like a dandelion. Not to be outdone by the lions, jaguars and bears (oh my! ), many of the birds around the zoo contributed to the baby boom in 2013. The Chilean flamingos gave us a break in the sea of pink with the hatching of fluffy, white chicks, while the endangered red crown cranes brought new hope into the world with a little male chick who stole hearts in the Temperate Forest exhibit. Perhaps the most memorable of the chicks is one who lives exclusively behind-the-scenes, yet manages to be a star. 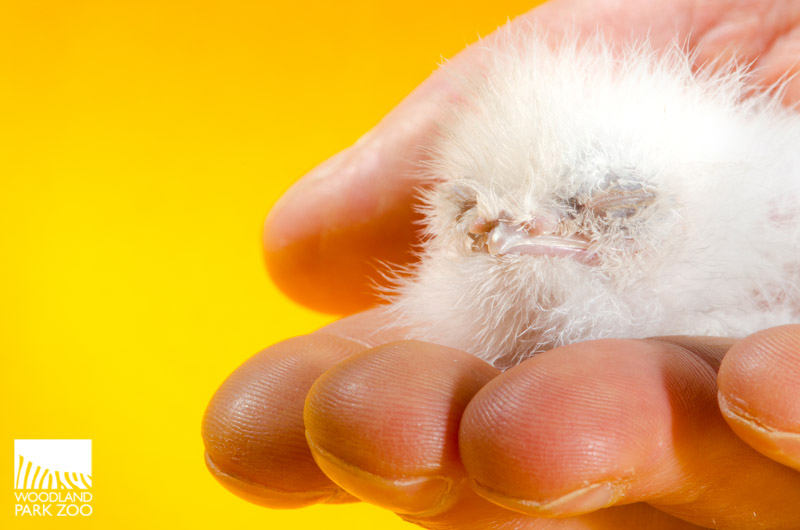 The tawny frogmouth chick, hatched as a little, white puffball, covered in downy feathers, gave us some fun when we asked you to vote on what it looks most like: a cotton ball, dandelion or tribble. With 53% of the votes, the tawny frogmouth totally looks like…a dandelion! 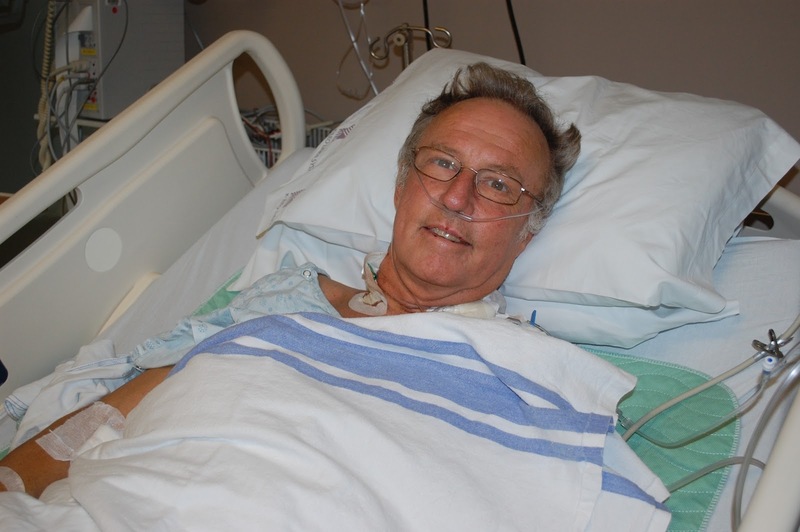 The life of Michael Lovatt of Roberts Creek, B.C. was saved thanks to the work of local hospitals and Woodland Park Zoo. Photo courtesy of Vancouver Coastal Health. Some of our top stories—the birth of animals, the opening of exhibits, the creation of new conservation programs—are the result of years of planning and careful work. This story—well, this one was a total surprise to us all when it happened. But thanks to quick thinking by medical experts and Woodland Park Zoo staff, the life of a man bitten by a venomous viper was saved by antivenin supplied by the zoo. The patient’s blood clotting improved dramatically within minutes of receiving the antivenin for a bite inflicted by a Fer-de-lance Bothrops asper while on vacation in Costa Rica—a bite that is known to cause death in humans. Wow! Web cams showed us new angles on favorite exhibits and animals, like this Giraffe Baby Cam. For years you've tuned into the Bear Cam to watch grizzly brothers Keema and Denali. But this year, the bears made room for other stars with the launch of a new web cam series showing you behind-the-scenes angles you’d otherwise never see. It all started with a 24/7 look at an endangered tree kangaroo joey and its mother, both of whom live behind the scenes to ensure quiet and calm for these sensitive creatures. Then we spotlighted a nest of wild barn swallow chicks in the Raptor Barn. But it was the launch of our Giraffe Baby Cam giving you an insider look at the giraffe calf’s bedroom in the Giraffe Barn that brought in tens of thousands of viewers to watch a never-before-seen side of the zoo. The fun continues with a Bat Cam that lets you watch what the nocturnal flyers get up to at night—and who knows what’s next! Let us know what you’d like to see in 2014. Raised at Woodland Park Zoo, this turtle graduated into a new life in the wild this summer. Photo: Kirsten Pisto/Woodland Park Zoo. Northwest conservation had a banner year with the launch of Woodland Park Zoo’s Living Northwest conservation program, uniting the zoo’s various conservation projects across the region focusing on native species restoration, habitat protection, wildlife education and human-wildlife conflict mitigation across the Pacific Northwest. 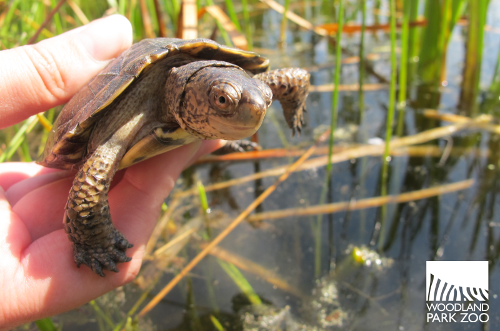 Through the Western Pond Turtle Recovery Project, we graduated a class of turtles headstarted at the zoo into the wild. Oregon spotted frogs are having their moment in the national spotlight as the zoo and others urge for the protection of the species under the Endangered Species Act. New funding and expanded research will help us better understand how carnivores use our Northwest habitat, which will help us identify the best ways to protect them. These strategies improve the health of our wildlife populations, the health of our ecosystems, and the health of our communities. 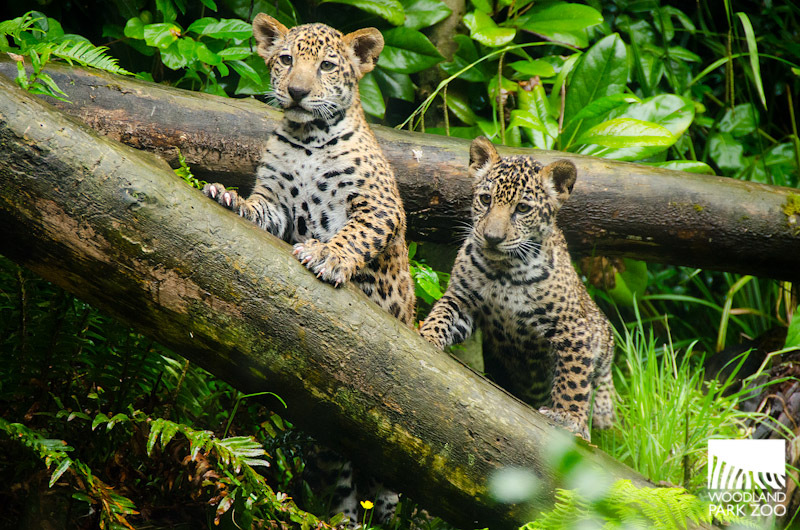 Jaguar cubs. Photo: Ryan Hawk/Woodland Park Zoo. Technically the lion and sloth bear cubs were born at the end of 2012, but we watched them debut and grow this year, so they count just as much as the jaguar cubs born in March as some of the greatest joys of 2013. The lion cub brothers have grown in little manes, while their two sisters take lioness lessons from their fierce momma, Adia. Sloth bear brother and sister, Randhir and Kushali, climbed to great heights and showed us how the vacuum cleaners of the tropical forest use their mouths for slurping up bugs, grapes and even peanut butter. Jaguar triplets, Kuwan, Arizona and Inka, have the run of Jaguar Cove. When they aren’t practicing their stealthy predator moves by slinking through the foliage and pouncing on mom, they are doing what all cats do…napping! 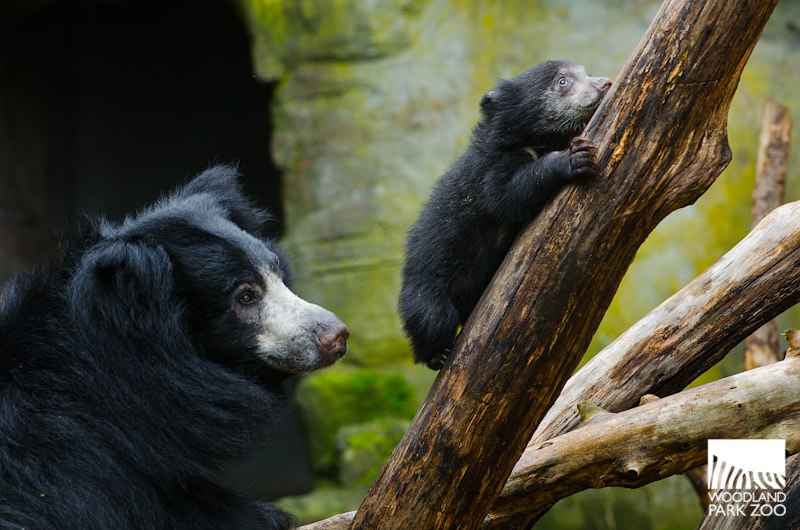 Sloth bear mom Tasha watches her tiny cub scale great heights. Photo: Ryan Hawk/Woodland Park Zoo. These births all marked great contributions to the conservation breeding program called the Species Survival Plan that helps to maintain genetic diversity and builds a healthy future for these populations. As the cubs stole hearts, visitors learned about what is happening to the wild counterparts of lions, sloth bears, and jaguars, and were inspired to take action. 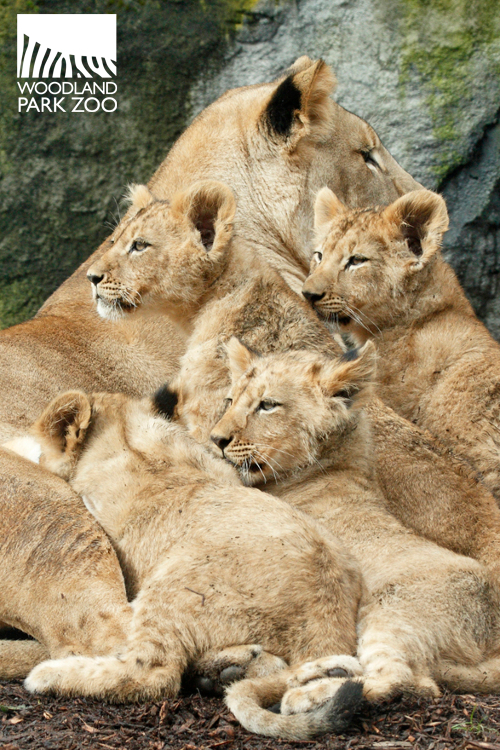 Lion cubs pile up for some mom time. Photo: Dennis Dow/Woodland Park Zoo. You can do the same—become a ZooParent of your favorite cub and your adoption fee will not only support the care of the animals at the zoo, but a portion will also go directly to field conservation. 3. 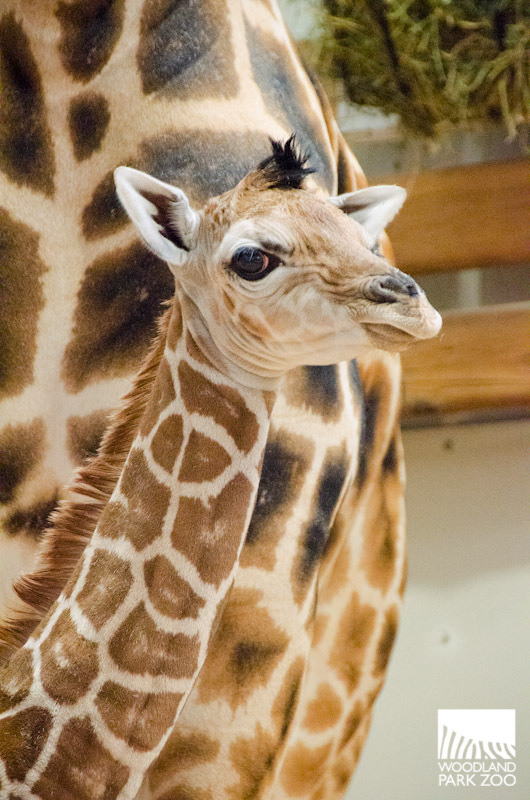 The tallest baby in town—a giraffe is born! How could they call that face grumpy?! Photo: Ryan Hawk/Woodland Park Zoo. He came into this world at 6 feet tall, but Misawa is still very much our little man. Born in August, this male giraffe calf was standing within an hour and a half, and was a national star 24 hours later. We watched his birth on video, and the press jumped on what they deemed the one-day-old’s grumpy face. But Misawa’s no grump. Over the past few months, we have watched this sweet-natured, goofy calf grow into a playful explorer. We kept up with his antics on the Giraffe Baby Cam and as the weather warms up and he spends more and more time out on the savanna, we’ll see what trouble fun he gets himself into with his gazelle and zebra neighbors. Photo: Derek Dammann Photography, taken at Cincinnati Zoo. We have less than 20 years to save the tiger, or say goodbye to it forever. A world without tigers? We’re not willing to accept that, and we don’t have to with your help. 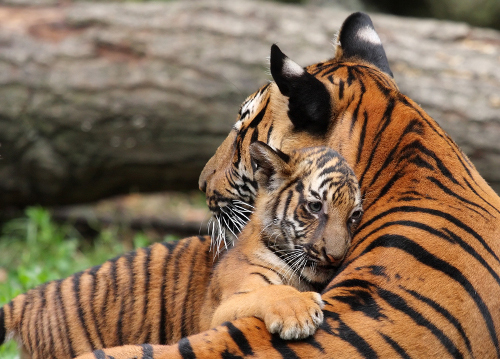 This year, we announced that Woodland Park Zoo created a 10-year, $1 million collaboration with Panthera, the leading wild cat conservation group, the Malaysian Department of Wildlife and National Parks, and in-country tiger conservation experts to protect the endangered Malayan tiger. Of 42 Global Priority source sites, three are in Peninsular Malaysia’s central forest region where fewer than 500 Malayan tigers are struggling to survive. Together we will help carry out the Malayan government’s plan to double this number to a viable population level by 2022, the next year of the tiger, in and around the Taman Negara National Park, a pristine, 1,000,000-acre rain forest sanctuary. We took you inside the forest with a look at the hard work volunteers do to detect and deter poachers and reclaim the forest for tigers. As we work towards completing a new Malayan tiger exhibit at the zoo in 2015, we’ll bring these stories of hope to life at the zoo and connect our million annual visitors with ways to take part and make a difference for tigers and their forests. Otter pup takes its first steps outside, only to be escorted back inside by an overprotective dad. Photo: Dennis Dow/Woodland Park Zoo. 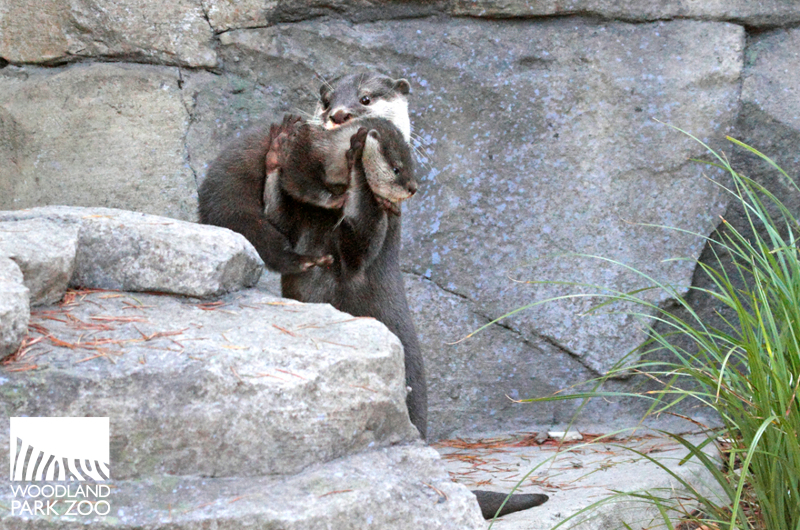 What a year for otters at Woodland Park Zoo! We debuted a state-of-the-art Asian small-clawed otter exhibit this year, the first phase of the Bamboo Forest Reserve exhibit that transforms the oldest remaining part of the zoo into an immersive, Asian tropical forest. It was your support that made this exhibit possible, and it was to be the summer of otters when the exhibit opened in May. But the otters missed that memo, as the pair, named Teratai and Guntur by a public contest, spent just one month on exhibit before giving birth and having to move off view temporarily! As far as we were concerned, this was only good news—the birth of four male pups marked a great success for the Species Survival Plan conservation breeding program. Born the weight of a golf ball and unable to swim, it was several weeks before we saw the otter pups debut. When they did emerge, overprotective dad Guntur had a hard time letting the pups get their feet wet. But as the family grew more comfortable outdoors and the pups more capable, the otters settled into their new exhibit and have become a highlight for visitors. We can’t wait to complete the Bamboo Forest Reserve exhibit in 2015 thanks to your support! What were your favorite zoo memories of 2013?